The Box concrete corner chair is delightfully modern, yet warm and inviting and most importantly very functional. 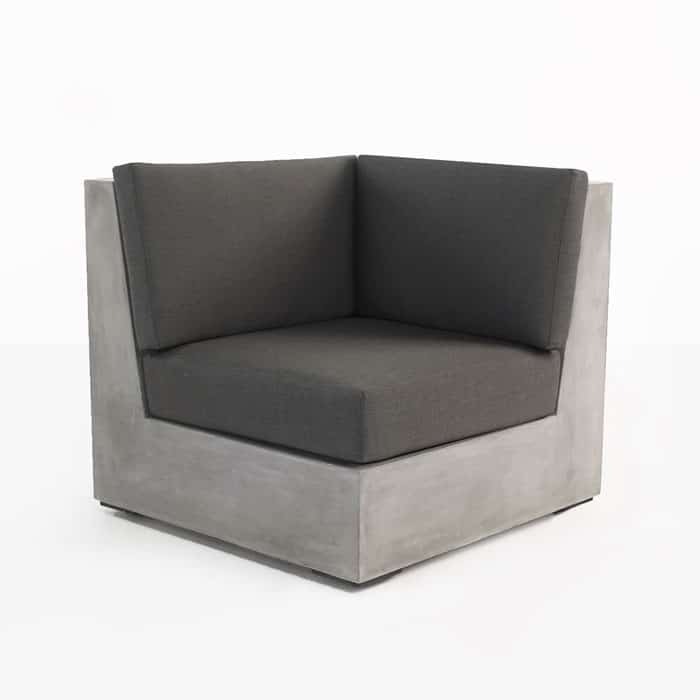 The corner chair marries with the center, left and right arm chairs to create a stunning outdoor sectional deep seating space or can simply be used on it’s own. The smooth seat along with the slightly angled back is topped with three Sunbrella cushions. 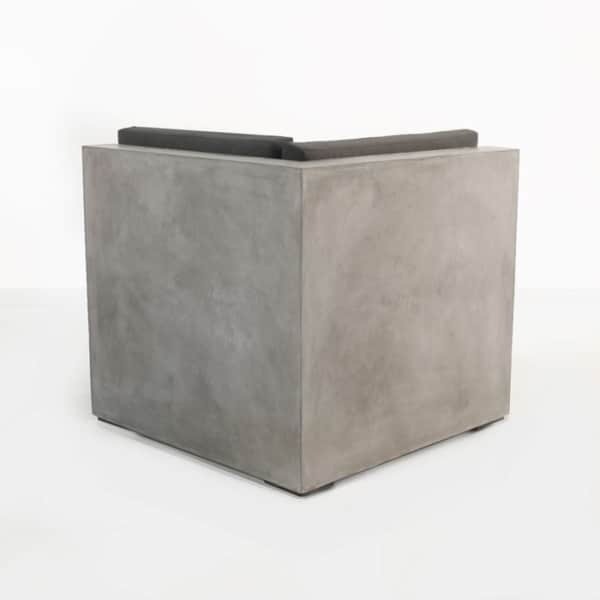 Whether your space is modern and bold or a peaceful retreat, the Box concrete corner chair will effortlessly add style and class. Our outdoor concrete furniture successfully blends well into a modern or traditional outdoor space. 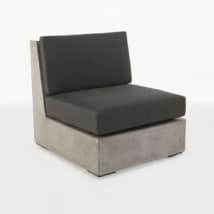 The warm color along with the organic vibe can be easily accessorized to be ultra modern or eclectic. 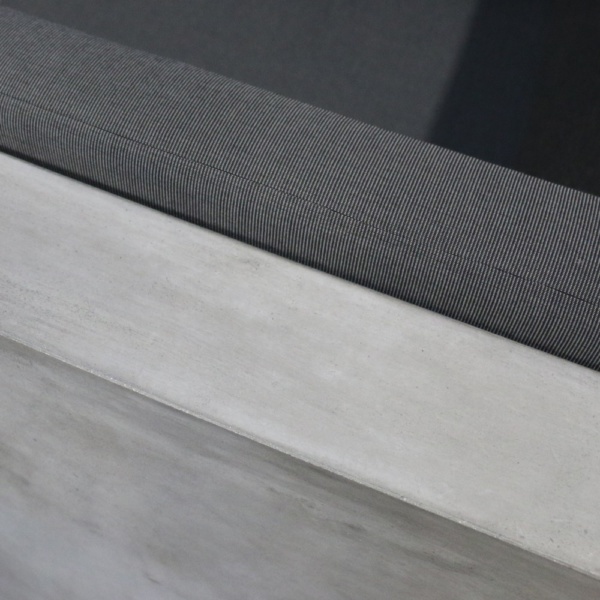 We love the look of concrete furniture and are certain you will too. 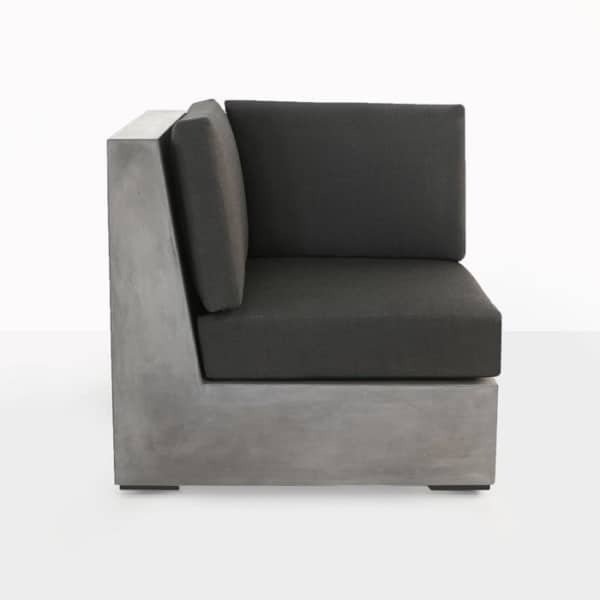 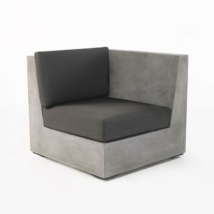 Call or email us today for more details on the Box concrete corner chair. 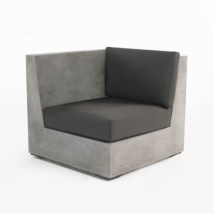 Or visit our showroom to experience it in person and fall in love with concrete furniture.